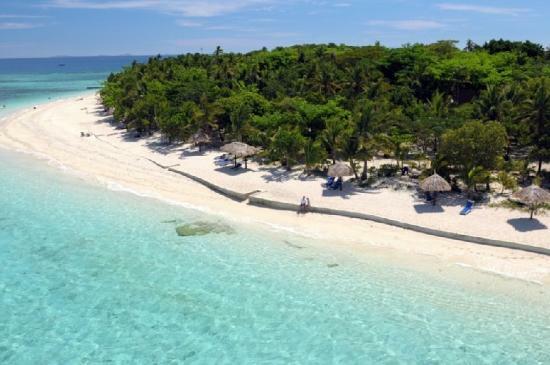 Want to discover Fiji Treasure Island? Find out about this stunning island in the Mamanucas, as it can be classed as the epitome of resort island's! Treasure Island is a 6-hectare island in the Mamanucas with it's traditional name being Elevuka. It's located just 17km from Nadi airport making the trip very convenient. The island is small enough that the whole island is encompassed by a resort. Thus it can claim to be a 'genuine' island resort. Visit our Top 5 Fiji Island Resorts section for more 'genuine's' which includes Treasure Island. The island is owned by a local Fijian family group. Treasure Island was 'founded' in 1972 and the 4-star resort is known as Treasure Island Resort. It has established a marine santuary to preserve the local reefs and also has a full-time environmental officer which directs the island's sustainable tourism. It has 66 bures coming in 2 sizes: 1. sleeping three adults or two adults/two children, and 2. six adults or four adults/four children. You can choose between an island bure, ocean view bure, or beachfront bure. It caters for families well. The usual option for getting to Treasure Island is via South Sea Cruises. They operate doing 5 or 6 loops around the islands per day, including Treasure Island. 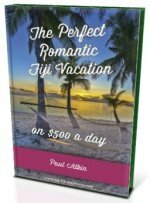 Visit Fiji Island Travel section for more details. The considerably more expensive option for guests staying on Treasure Island, is a personalised meet-and-greet service at Nadi airport which includes after hours for those with late arriving plane flights. If you don't want to pay princely private water taxi rates, stay overnight in the Nadi region. The default setting is on 'Earth' rather than 'Map' as the island is so small, there aren't any labels. Click 'View Larger Map' here or directly below for viewing in full screen.